WCG – White Construction Group is a Design Build Contractor offering the finest in complete home remodeling, service, design and since 1996. If you’re looking for a professional contractor that emphasizes quality, customer service and while focusing on our customers needs and wants welcome to the right place! With over 20 years of experience and many happy customers Phoenix based WCG can guarantee to turn your dreams into reality! From concept to completion, White Construction Group prides itself on professional, creative projects that are driven by quality and customer service. We are proud to be fulfilling the dreams of so many families in the greater Phoenix and surrounding areas. Whether it be a facelift to the interior or exterior of your home, a room addition, or a brand new home from top to bottom, when you contract with White Construction Group you know you’re getting the best. We will take you step by step through the entire construction process from project conception to project completion. 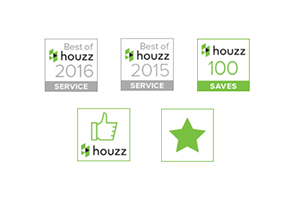 What does it mean to be “Best of Houzz?” Our customers have enjoyed their remodeling experience and haveve gone out of their way to nominate us for this prestigious award. We’ve won numerous awards for our great quality! Our approach to the construction process strongly emphasizes listening and communicating with our clients while maintaining unmatched quality complemented by superior service. We understand how important it is that our clients be kept aware of the progress of their project, and that the process be as open and honest as possible. Once a project begins, our team of professionals, designers and planners will help you informed every step of the way. Our work doesn’t end until your needs are completely satisfied.